Could you be subject to tax penalties under the Affordable Care Act? If you’re an individual who’s responsible for your own health insurance, the tax implications of the Affordable Care Act could hit you as early as your 2014 return. Do you know what to do? The Affordable Care Act (aka Obamacare) doesn’t just provide more affordable health insurance for those who can’t afford it, it levies some pretty stiff penalties on those who don’t have it. But there’s a lot of confusion and misinformation about just what’s going to happen and who it will affect. As John Green of Mental Floss so eloquently explained in his video dispelling myths about the high costs of health care in the U.S., those who don’t have health insurance still have to get medical care, and often, they’re only able to access that care from expensive facilities (like emergency rooms), so if and when they don’t pay the exorbitant bill, our tax dollars go toward not only paying for their care, but for the cost of trying to collect. To offset that inequality and encourage people to have coverage, a penalty was written into the law that basically means you’ll pay for it one way or another. Whether or not you think this penalty is fair, it’s now the law, so you should understand how it works. The amount of your penalty depends on who in your household isn’t covered and their age. Under the individual mandate, in 2014, you’ll pay $95 per uncovered adult and $47.50 per uncovered child or 1 percent of your total household income, whichever is greater, up to a maximum that’s equal to the national average premium for the least expensive (“bronze”) plan available on the exchange website. The penalty will increase in 2015 to 2 percent and again in 2016 to 2.5 percent. The Congressional Budget Office (CBO) estimates that in 2016, the penalty will be about $5,000 for a person and $12,000 for a family. It will continue to increase based on the rate of inflation. 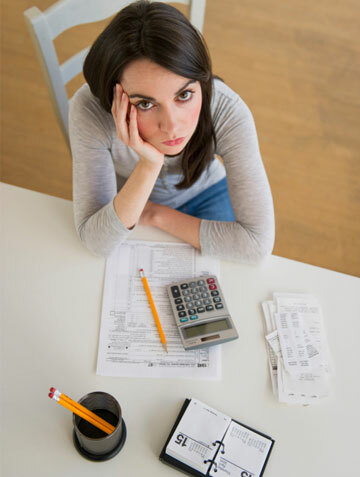 You’ll be assessed the penalty on your taxes if you don’t have health insurance by March 31, 2014, and those taxes will be assessed for each month you don’t have health insurance, so if you get it by May 30, you’ll only be penalized for two months. As with all things related to taxes, there are exceptions. If you would pay more than 8 percent of your household income toward health coverage, you’re exempt. You’re also exempt if your income is below the filing threshold of $9,750 for an individual and $27,100 for a family of four (as of 2012). But there’s also a hardship exemption. This exemption, however, is made on a case-by-case basis and ruled through the marketplace. If it’s determined that you suffered some kind of hardship that prevented you from getting coverage, you may be exempt from the coverage requirement, and therefore, exempt from the taxes (at least in 2014). This also applies to people whose coverage was cancelled as a result of the law. There’s also a short coverage gap exemption. Basically, you’re still required to have insurance by March 31, but if after that you have a gap in coverage of no more than three consecutive months, you’ll be exempt from the penalty. Additionally, if you fail to sign up by March 15, your insurance won’t go into effect until May 1, and there’s a special exemption for that. You should be aware that you have to have qualifying insurance in place, not just any insurance. So make sure your plan meets the minimum requirements of the ACA. The easiest way to do that is to purchase your insurance through the government-provided marketplace. Yes! Because most people who use the marketplace will qualify for a hardship discount of some kind, it’s probably going to be cheaper to at least have a bronze plan than to pay the penalties. Even if it’s not, why pay the penalties and get nothing out of it? To find out what your penalties would be, check out the ACA tax penalty calculator from the Tax Policy Center.